Nearly every weekday around 4pm, my 15-year old son calls me here at PSMJ. I look at my ringing phone and see his name flash across my screen and the first thought that runs through my head is “what does he want?” It doesn’t take more than four or five seconds for my suspicions to be confirmed – can my friends come over to use the pool?...can you pick me up from here later?...can you get me this or that? Knowing that his weekday call is going to be about what I can do for him has conditioned me to adopt a specific posture: rather than looking forward to a pleasant exchange or hearing something interesting, I am starting to think of how I am going to tell him “no” and strategizing a defense of my position. In other words, besides this call confirming that my son is not in any overt distress – there is no upside for me – and knowing this grossly diminishes his chances of getting what he wants. You probably deal with calls like this all the time in your professional life. But are you also initiating these calls yourself? Of all the clients and prospects you initiate contact with during the week, how many of them are thinking “What do you want from me?” The truth is, our egos make it virtually impossible to evaluate this accurately – but you can take steps to ensure that the posture of the person on the other end is not set before you even say hello. The second thing you can do it commit to follow up about what you tell them - “I’ll let you know if I hear anything else about this” – then you have a reason to call back. U.S. Senator Ted Stevens (R-AK), the longest-serving Republican senator in United States history according to The New York Times, was indicted earlier today on federal charges for failing to report gifts and income. The 84-year-old Stevens was indicted on seven felony counts related to renovations on his home in Alaska. The charges arise from a wide-ranging, four-year-long corruption inquiry involving public officials and corporations in his home state. The indictment accuses Stevens of failing to disclose that he received gifts of more than $250,000— in labor and construction materials— from Veco Corporation, a multinational oil services company based in Anchorage, Alaska, between 2001 and 2006. Matthew Friedrich, acting assistant attorney general, said that at the same time Veco Corporation did architectural and construction work on Stevens' home, the corporation sought assistance on business-related matters. However, Friedrich said the indictment does not allege any quid pro quo, but added that Stevens did not reimburse Veco Corporation for any of the work done at his house. Federal agents raided Stevens' home last year following questions about renovations at the home. A few months before that, in May 2007, Veco CEO Bill J. Allen admitted to bribery, and in court papers acknowledged making $243,000 in possibly illegal payments to a state lawmaker identified only as "Senator B," according to The New York Times. That abbreviation referred to Stevens' son, Ben Stevens. Ted Stevens, who is running for re-election this year, was first appointed to the Senate in 1968 and has served nearly fix full terms. He also had been a United States Attorney in the 1950s. According to The New York Times, federal officials said they did not know whether Stevens would surrender to authorities in Washington, D.C. or in Alaska for an arraignment. For an exhaustive breakdown of who has been charged and/or convicted in the investigation, check out The Anchorage Daily News web site. Here's a link to the 28-page indictment. According to a report released Monday, the United States must spend at least $140 billion to make major repairs or upgrades to one of every four bridges in this country. The American Association of State Highway and Transportation Officials (AASHTO) report, titled "Bridging the Gap," cited Federal highway Administration statistics that 152,000 of the nation's 600,000 bridges are either "structurally deficient" or "functionally obsolete." The $140 billion price tag was derived by multiplying the total number of square meters of the problem bridges by the average cost per square meter— in 2006 dollars— to do the work. "We need federal intervention, and federal intervention at a big level," said Pennsylvania Gov. Ed Rendell after AASHTO released details of the report. Rendell said a congressional study committee found that state and local sources account for 75 percent of the $80 billion spent annually on transportation infrastructure. "No matter how hard a state applies its efforts and its resources to this problem, it's never going to make enough of a dent without significantly and radically increased federal help," Rendell said. The report recommends increasing gasoline taxes and new taxes on alternative fuels, turning free highways into toll roads, and increasing private investment in public works. Most bridges are built to last 50 years, but the average U.S. bridge is 43 years old and approaching the age for replacement, according to the report. We're not there yet, but Bruce and I will be blogging live from next week's Society for Marketing Professional Services (SMPS) Build Business national conference in Denver. We'll be bringing you the sights (describing them, anyway), the sounds (the pulse of the AEC industry through the eyes and ears of marketing and business development professionals whose jobs are to keep the project pipeline flowing), and all of the "buzz" this event generates every year. From the opening keynote through the black-tie Awards Gala to the Hard Rock Cafe networking event and all of the breakout sessions in between, PSMJ and this blog are your all-access pass to everything that happens in the Mile High City. If it happens during the conference (or after hours), you'll read it first here. If you can't make it to Denver, check back here starting on Wednesday, August 6 for live reports from Denver. Johnson, Mirmiran & Thompson (JMT), a 710-person engineering firm in Sparks, Maryland, has acquired the assets of 52-person engineering consulting firm Kupper Associates of Piscataway, New Jersey. JMT is the third-largest engineering firm in Greater Baltimore when ranked by annual billings, according to the Baltimore Business Journal. The firm reported $56 million in local billing and $82 million in company-wide billing in 2007. It has offices in Maryland, Delaware, Florida, New Jersey, Virginia, West Virginia, and Washington, D.C. This one's kind of cool. Dallas architecture firm t. howard + associates (THA) has acquired Wells Janousek Architects. Mike Wells, principal with Wells Janousek, and Todd Howard, principal with THA, met years ago when Howard took a course from Wells at the Harvard Graduate School of Design Child Care Design Institute. Now, as a result of the acquisition, the teacher (Wells) will be working for the student (Howard). I thought that was kind of neat. Clearly, the teacher did his job, but does the learning ever stop? Another fun story here. CSO Architects, Inc. of Indianapolis announced that James Schellinger had been elected chairman and CEO of the firm by its shareholders. Schellinger recently returned to the firm after spending 15 months running for governor of Indiana. Not only was it neat that Schellinger had taken the time off to run for governor, but it was equally nice to see the firm take him back as its leader. Would your A/E firm do something like this if you took time to run for office? Finally, according to the Pacific Business News, Hawaii employers and state government are looking at four-day work weeks to cut costs, save energy, and get their workers off the roads one day a week. Hawaii isn't alone, either, as many cities and towns across the United States are looking at similar measures, but this was the first article I'd seen that said an entire state government was considering something so drastic. I thought this was an interesting tactic for A/E firms to pursue, except many of them were so hung up on work/life balance a few years ago that you are already giving employees at least a half-day on Fridays in the summer. Is it worth making it a year-round habit? Consider that gas prices are likely to moderate over the next several months and that you'd be essentially cutting back your work week by 20% and I would say not. The AIA last week put out a press release spotlighting its semi-annual Consensus Construction Forecast, a survey of the "nation's leading construction forecasters" that includes the outlook for the second half along with a prognosis for 2009. The Forecast calls for a 1.2% decline in construction of nonresidential facilities in 2008 with a more significant 6.7% downturn in 2009. The prognoses for commercial and industrial buildings are even worse, with an especially large decline in the office and retail sectors. The two largest institutional categories, health care and education facilities, should see a slight increase this year. "The more pessimistic forecast this round stems from the lack of growth in the overall economy, the ripple effect from the faltering housing market, and the anxiety in the credit markets leading to a restriction in lending for all types of construction," said AIA Chief Economist Kermit Baker. Baker did point out, however, that, the slowdown should be less severe than the construction recessions of the early 90s and earlier this decade. We've said it before, but it really does depend on which market you are working in. Health care facilities are projected to basically hold steady this year (0.2% growth) and next (1.1% growth), but they are the only market sector projected to grow in the next 12 to 18 months. If you aren't in a hot market, keep your margins in line and try to weather the storm. Click here to read the release, which includes detailed market segment consensus growth forecasts for commercial/industrial (retail, office buildings, hotels, industrial facilities) and institutional (health care, education, amusement/recreation, public safety, and religious) facilities. The American Institute of Architects' Architecture Billings Index (ABI) rebounded almost three points in June, after dropping two points the previous month. The bad news? This is the fifth straight month that the index remained below the 50 threshold, indicating that business levels at U.S. architecture firms continue to deteriorate. The AIA reported the June ABI rating was 46.1, up from 43.4 in May (any score above 50 indicates an increase in billings). The inquiries for new projects score was 51.8, up sharply from 46.5 in May. "Very recently, the Midwest has been showing the best regional conditions," said AIA Chief Economist Kermit Baker. "But otherwise, these numbers are a continuation of weak conditions in the nonresidential construction sector. Given that inquiries for new project work have not seen much improvement, it's likely we are several months away from a turnaround." Regionally, the ABI breaks down as follows in June: Midwest (51.8, down from 51.9 in May), South (49.9, up from 47.0 in May), Northeast (40.7, down from 41.7 in May), and West (36.1, down from 36.3 in May). The index for institutional construction was 51.6, down from 53.9 in May, but still indicating more work on government buildings, schools, and hospitals. Commercial/industrial projects came in at 45.8, up 6.1 points from 39.7 in May, so while there were still fewer billings than in the previous month, the decline was not as steep. Mixed facilities dropped from 45.3 in May to 44.1 in June. While the news remains bad for architecture firms, the declines have flattened a bit so there may be a light at the end of the tunnel. Will it last? The AIA doesn't think so. We'll have more later on the AIA's forecast for the rest of 2008 and 2009, but it doesn't look good. At least once a week, I am reminded of Frank’s words. This week’s example comes from the new China Central Television building in Beijing. According to Tim Johnson of McClatchey Newspapers, the structure is “an audacious monolith that looks like two drunken high-rise towers leaning over and holding each other up at the shoulders.” Not exactly high praise, but does it need to be? Rocco Yim, a Hong Kong architect who sat on the jury in 2002 that selected the winning design for the tower said, "It captures the spirit of the country at this point in time, a really daring spirit to look into the future and try the impossible". Nobody knows how the structure will be regarded in the future: but one thing is for sure –people are talking about it and will be for quite some time – and at the end of the day, what more can a designer hope for? Interesting article in this week's Washington (D.C.) Business Journal about the Middle East building boom and how A/E firms are benefiting from it. As we talked about last week, there is plenty of work going on in Dubai, Abu Dhabi, and throughout the Middle East that is keeping U.S. A/E firms busy. And while last week's piece on NBC's Today Show did not spotlight how those projects are benefiting the A/E industry, the Washington Business Journal article does go into great detail. HOK's Washington, D.C. office saw its revenue from overseas work triple from $5.4 million in 2006 to $16.8 million last year, about 80 percent of it from Middle East projects. Perkins + Will's D.C. office has two new projects in Dubai and Abu Dhabi. RTKL is working on three large projects in Dubai. Firms quoted in the article compare the Middle East building boom to New York City in the 1920s, but also say that they don't believe the boom is a fad. One A/E firm says Dubai in 50 years will be the Paris of the Middle East. As one source in the article said, overseas work "is part of how we diversify. It's a valve we can turn on when we need to." I've said it before but I'll say it again, if you're not working in the Middle East, you need to be there. It's where the money...and the projects...are. Anyone interested in pursuing an M&A deal, or knowing more about where the hot spots are for M&A deals, might want to check out a new tool from Morrissey Goodale LLC. The Boston-area management consulting and research firm has created an interactive map of A/E merger and acquisition activity. The map displays the number of buyers and sellers in 2007 by state and region. According to Morrissey Goodale, there were 262 deals in the industry in 2007. That volume represents an all-time high, about 30% ahead of 2006, according to the firm. The map reveals a high number of deals in California, Texas, and Florida--all states experiencing the greatest increases in population. 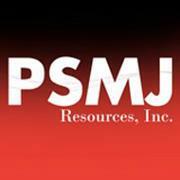 For more information about the state of the M&A deal, check out the August issue of PSMJ. Some interesting news for those of you who have seen, heard, or read Nancy Usrey's insights on winning work in the federal marketplace. Usrey, who has authored books, spoken at SMPS conferences and other industry events, and given audioconferences and webinars on Standard Forms 254, 255, and 330, has joined HNTB Corporation as associate vice president and corporate ventures division marketing director. The move brings to an end Usrey's 16 years as head of her very successful Partners Usrey consulting firm. She told me this morning that while her official start date was June 23, she was wrapping up a consulting project and didn't really start with HNTB until July 1. While the move came as a shock to many in the A/E industry, Usrey said that it was a natural fit. "I've been consulting on various large pursuits with HNTB for the past few years. Earlier this year, they decided to create a new division to manage all of the large design/build work they were involved in," Usrey told me. "They convinced me to join them...not an easy feat given my 16 years of independence. But, I'm excited about the opportunity to be involved in some of the largest projects in the country, and in building a new division from the group up. I will learn a lot!" Hiring Usrey, who previously worked at Carter & Burgess before starting her own consulting firm, is a coup for HNTB and a loss for those in the AEC industry who benefited from her knowledge and expertise. Those of you who will be in Denver at the upcoming Society for Marketing Professional Services' annual Build Business conference will have the opportunity to catch up with Usrey as she says she plans to be there. ENR to buy Building Design + Construction? Well, not exactly, although if media reports are accurate, McGraw-Hill (which publishes Engineering News-Record and Architectural Record, among many other publications) is interested in buying Reed Business Information (which publishes Building Design + Construction, among many other publications). Articles posted this morning on WashingtonPost.com and yesterday on the London Sunday Telegraph web site listed McGraw-Hill as one of two dozen companies that are interested in buying Reed Business Information, Reed Elsevier's trade magazine and information division, which includes the aforementioned titles as well as magazines that cover the electronics, gifts and furnishings, hospitality, manufacturing, media, and printing industries. Indeed, RBI publishes titles such as Variety, Broadcasting and Cable, Casual Living, and more. The move would boost McGraw-Hill's already strong presence in the AEC publishing market. Unfortunately, it could result in streamlined operations for the folks who work on BD+C and other RBI publications as any redundancies would be absorbed into McGraw-Hill's existing operations. I will say, however, from first-hand experience that when Mercor Media bought ZweigWhite in 2004, the initial layoffs never touched ZweigWhite's publishing operations and instead were limited to things like accounting, sales, and customer service. What would it mean for the A/E industry? Well, theoretically, McGraw-Hill could leverage its different publications to offer lower ad rates. It would also give A/E firms comfort in knowing that some of the industry's leading publications would remain in the hands of people who know the industry. At this point, all of this is only conjecture, as interested parties are still submitting initial bids. 2. Enable each team member to participate in potentially successful projects that bring continuous improvement to the workplace. 4. Provide developmental opportunities that reflect what the employee is interested in learning about. 5. Assign successful senior employees to play a developmental mentoring role with team members. 6. Hold frequent, positive verbal interactions with team members, and communicate consistently your firm belief in each employee's ability to perform the job. Keep feedback positive and developmental where possible. 7. Make sure team members receive consistent messages from other supervisory personnel. How you speak about employees to others powerfully molds their opinions. Click here to read the entire article, which includes other tips for creating team success at the supervisory level. Is anything missing? Is anything included that shouldn't be? Drop us an e-mail and let us know! This article on AdAge.com isn't exactly the kind of news any marketing professional, let alone someone working in professional services, would want to read. Coca-Cola wants to save as much as a half billion ($500 million) dollars by the end of 2011. Where is it looking? Why marketing, of course. In a second-quarter earnings call with analysts on Thursday, Coca-Cola CEO Muhtar Kent said that as the company reviews its spending, marketing will be a primary area of focus. The article quotes Kent using a bunch of buzzwords like "reinvest marketing efficiencies" and "brand-building activities to drive the long-term health of our business" but it is bad news, syntax aside. Given the troubling nature of the U.S. economy, and the uneven footing within the A/E industry, it is highly likely that A/E firms will similarly look at cutting back marketing spending. Of course, this is foolish, given that now more than ever, you need to let potential clients know you exist. After all, even if they don't have work today, keeping your relationships alive will bear valuable fruit in the future. * One article on whether or not you should put up "barrier" web pages (pages that ask for contact information) in front of content and downloadable offers on your web site. While the author chooses not to take a position on the issue (she says it really depends on what you are trying to accomplish), I think you SHOULD put up these "barrier" pages. Here's why: If you are giving away information, you need to get something in return. Taking someone's contact information allows you to build a relationship by informing them of other potential offers. Most people won't take you up on the offer, but you need to at least make the effort. * Another article, by contributing editor Bruce Marcus, looks at why there are so many lousy PR people out there. I can tell you from first-hand experience of taking calls from lousy PR flaks who sound like administrative assistants or interns that there are a lot of people working in the A/E space (meaning they work for PR agencies that count A/E firms as clients) who have no idea how to do their job. They never ask me what I want from them, never ask me how I want to receive the information, and never ask me IF I want their information. They just call, confirm my contact information, and hang up. * Finally, Keith Ferrazzi (author of "Never Eat Alone" and a past speaker at the Society for Marketing Professional Services' national conference) has a two-part article on 15 ways to get more from attending a conference. This week's issue has part 1; the next issue will have part 2. While some of Ferrazzi's tips are obvious (prepare before you get there, get a list of attendees beforehand, start networking before the event), others are revealing and interesting. Ferrazzi recommends not trying to talk with speakers after they talk (he says that time is better spent networking with other attendees) and hang around the conference organizers (eventually, important people will rotate through and you will meet them). Good fodder for discussion. If you aren't already receiving Rainmaker Report, you can sign up here. One of the time-honored debates that A/E firms have wrestled with is whether it's better to add projects and look for people or hire people when you can and then chase down projects. Admittedly, it's a discussion more apropos for when times are good and the work is rolling in the door, but the people are hard to find. Of course, firms have wisely tightened their reins as the project pipeline has dried up, letting enough people go or easing back on hiring to the point where everyone is busy. Those were the findings, in fact, of the latest Business Quarterly survey by the American Society of Landscape Architects (ASLA). Fewer than three in 10 firms plan to hire in the short term, according to the survey. Almost 57 percent of landscape architecture firms reported average or above billable hours in Q2 2008 and just under 50 percent reported average or above inquiries during the same period--slightly above and below the previous quarter, respectively. However, only 29 percent plan to hire in the upcoming quarter, down from 38 percent previously. "Landscape architects remain one of the few comparatively bright spots in the construction industry," says Nancy Somerville, ASLA executive vice president and CEO. "However, tighter lending restrictions and overall economic fears have decreased some of the future pipeline of work--reflected in the dropoff in firms planning to hire." The Q2 2008 national survey was taken from June 19 to July 3, with 304 firms responding. What worries an A/E firm CEO? "That doesn't mean the problem has gone away, although many firms are laying off staff. But it does suggest a substantial shift in thinking in light of current economic conditions--even among firms that are still doing well." Lester goes on to say that downturns have their benefits. "They tend to force us to reflect on our core strategy and operational practices, making needed changes that might be neglected in good times. Granted, some firms take reactionary steps that are poor choices for the long term. But the best firms will often emerge even stronger from times like these." I think the reason firms aren't concerned about finding qualified staff is because they are more concerned about finding enough work to keep the staff they have. If they are fortunate enough to have a surplus of projects and a shortage of talent, the fact that their colleagues down the street are laying people off means there's a glut of talent and not enough work to keep them busy. Mel's blog is definitely worth checking out for those of you interested in a different take on the A/E industry. So I'm watching the "Today Show" this morning while eating breakfast and they had a story on the frenetic construction in Abu Dhabi. Knowing how many A/E firms (Burt Hill and Ellerbe Becket, for example) work in the Middle East, and thinking of how this would be great PR for the A/E industry, I watched the piece. Sadly, while the piece talked about how Abu Dhabi will spend something like $1.75 billion on construction in the next five years, the reporter, Richard Engel, NBC's chief foreign affairs correspondent who made his bread and butter with the network as a freelance journalist covering the war in Iraq, never mentioned how it's U.S. firms who are designing these projects. Not sure how a reporter can cover a story in a foreign country for a U.S. television show and not talk about the American tie-in, especially when you can't turn on the television or pick up a newspaper these days without hearing how the economy is in the tank, but it didn't happen. Thankfully, the absence of acknowledgment in Engel's story does not change the prospects for American A/E firms working in Dubai and Abu Dhabi. Can we learn from the airline industry? According to this Forbes.com article, U.S. Airways Group announced earlier this week that it was discontinuing in-flight movies on domestic flights starting in November. The move is part of the airline industry's ongoing effort to reduce costs to offset soaring fuel prices, which isn't surprising, but what is shocking is that removing the 500-pound in-flight entertainment systems will save the airline $10 million annually. What appalls me about this is just how bloated the airline industry had been operating all these years. Can you believe that one airline spent $10 million a year paying for in-flight movies that maybe half the plane watched? How many episodes of CBS Eye on American or mediocre Matthew McConaughey movies did you actually watch? Most people, especially busy business travelers like A/E firm owners, use the time on a flight to catch up on work, play on their computer, read, listen to music, or go to sleep. The fact that $10 million each year was wasted on this nonsense is galling. The lesson in this for the A/E industry? Take a look at your operations. Are you as lean as you can be? Is there fat you can trim? While I doubt there are any $10 million expenses you can trim, you may find some places to cut expenses without cutting people. * Memphis, Tennessee-based Hnedak Bobo Group, a 120-person architecture and interior design firm, has acquired 26-person Nashville, Tennessee-based architecture, design and project management firm Bullock Smith & Partners. Bullock Smith will operate under the Hnedak Bobo name and brand. * Cubellis, the Boston-based 450-person architecture, interior design, and engineering services firm, announced yesterday that it had merged with A/R Environetics Group, a full-service architectural interiors, space planning, and project management firm based in New York City. The merged firm will operate as Cubellis A/R Environetics. * Brampton, Ontario-based engineering and consulting firm Trow Global, one of Canada's largest engineering and consulting firms, merged with Teknika HBA, a Quebec-based provider of multidisciplinary engineering and consulting services, according to The Walkerton Herald-Times newspaper. The combined workforce now has 2,000 employees and 60 offices in Alberta, British Columbia, Ontario, Quebec, the United States, and internationally. * Shannon & Wilson Inc., the Seattle-based engineering company, bought Van Beveren & Butelo, the Los Angeles-based geotechnical engineering firm, yesterday for an undisclosed price. Shannon & Wilson has 10 offices and reported 2007 gross revenue of $23.4 million, according to the Puget Sound Business Journal. Check out the August issue of PSMJ for the insights of PSMJ merger and acquisition services consultant Brad Wilson into the state of the M&A market. Amidst the turmoil plaguing the US economy and the AEC industry, there was some good news today for two well-known firms. Shares of engineering and construction firm Foster Wheeler closed at $64.17, up $2.94, or 4.8%, for the day. Meanwhile, shares of The Shaw Group rose Thursday after the construction and engineering megafirm posted a better-than-expected third-quarter profit. Shares closed at $60.78, up %5.47, or 9.9%, for the day. Analysts were optimistic about Shaw's prospects in the next 12 months, especially in its nuclear power segment among international customers, according to an Associated Press article posted on Forbes.com. Got an e-mail the other day from PSMJ colleague Dave Burstein, who heads up our consulting and training. Dave had some advice for firms looking to cut overhead. I thought I would share it here, followed by my thoughts at the end. CUTTING OVERHEAD? HERE ARE 3 THINGS YOU SHOULD NEVER DO. Over the years, we’ve seen many firms go on overhead cutting campaigns. Done right, overhead reduction can be a valuable tactic in the firm’s long-term growth strategy. Done wrong, it can devastate the firm. Here are three common mistakes we’ve seen – and how to avoid them. The problem: Most firms track chargeability by dividing the labor hours charged to jobs by the total number of hours charged. When it comes to cutting overhead, they look at ways to increase this chargeability. The result is usually to cut several low-paid administrative staff who charge most or all of their time to overhead. While this may significantly increase the labor hour chargeability, it does little to lower overhead. The problem: When markets are tight, many principals refuse to consider cutting business development expenditures for fear of losing out on new opportunities. They fail to consider which BD activities are really bringing in the business and which ones are merely draining the company’s coffers. Then assess which ones are really bringing in the business. Here’s a hint: according to PSMJ’s annual surveys, almost 80% of revenues come from repeat clients and referrals from existing clients. Here’s another hint: one firm computed that each of its full-time marketers needed to bring in $2 million of additional work to justify their cost (salaries, benefits, office space, secretarial support, and time spent by technical staff writing the proposals they pursued). The problem: The intent is to cut payroll costs without having to lay off staff. This sounds noble but here’s what really happens: The entire staff gets less take-home pay. And they get nervous about the firm’s workload, fearing future layoffs. So they start looking around for other opportunities. And when headhunters hear about it, they descend like vultures. The result is that the firm’s best people take a hike and the firm is left with those who can’t find other opportunities. Dave will be discussing this in greater detail at an upcoming PSMJ webinar, but I wanted to add my thoughts on this issue. I disagree with part of Dave's second and third points, as you'll see below. I don't like the idea of cutting back on BD/marketing. If anything, you need to expand your marketing efforts right now to find work. The notion that seeing BD and marketing as "sacred cows" is a mistake is only playing upon many firm leaders' preconceived notion that marketing and BD are a waste of money and that "anyone can do it." If that is in fact true, why are firms having such a hard time finding work? I also disagree with Dave's third point. Firms are cutting people left and right so, if anything, there are more people on the streets now than at any point in the last few years. Unfortunately, firms aren't hiring so the notion of headhunters pulling people out of firms isn't necessarily a reality. That said, firms should always have on staff only the people they need. But cutting back on hours is a better alternative than being one of the growing number of professionals looking for work. Trust me, it's better to have a job at 80% of your salary than 100% of no job at all. Those are my two cents, anyway. How do you feel? Drop me an e-mail and let us know! Not sure if everyone saw the news that came out last week, but the U.S. Bureau of Labor Statistics announced that the construction sector lost 43,000 jobs last month. Construction employment is now down 528,000 jobs since September 2006. Combined with the ongoing decline in the AIA Architecture Billings Index, the problems facing the AEC industry show no sign of letting up anytime soon. Yet, in talking with A/E firm leaders the past few weeks for the August issue of PSMJ as well as our forthcoming Circle of Excellence book, it's obvious that the problems are not universal. Firms working in the energy and higher education markets are doing very well for themselves. Unfortunately, the problems in residential real estate are so pervasive that they are dragging down the entire AEC industry. From reading the tea leaves and talking with firm leaders facing with letting people go, it doesn't appear to be turning around imminently, either. Financial experts say the markets may hit rock bottom at some point in the next six months, but some A/E firm leaders believe in may be another 12-24 months before we've seen the worst of it. Seems as though the days of cutting out early and hitting the golf course are over...at least for some firm owners this summer, anyway. As my colleague Bruce posted earlier today, Autodesk and Bentley have agreed to collaborate going forward. While he took the approach that it could be bad for the A/E industry, I'm going to take the opposite stance. Strangely, there has been no public statement from either Autodesk or Bentley about why they are doing this, but, Bruce's thoughts notwithstanding, I'm not convinced it is a bad thing that the two companies have reached a software interoperability agreement. All we ever heard about the past few years was the complaints that people had that the two companies' software did not work well together. This announcement should be a step in the right direction. Also, why is it a bad thing if A/E firms pass on the savings to their clients, given the crappy economy and shortage of projects out there? If the savings on the first project offers up enough funding for a second project before the economy turns around, that could keep firms from laying people off. That may be a little Polly-Annaish for some, but why see the glass as half empty all the time? You've seen what Bruce and I think about the Autodesk-Bentley collaboration. What do you think? Drop me an e-mail and let me know! Two questions immediately come to mind: 1) What are Bentley and Autodesk afraid of? and 2) Will the A/E industry use the apparent efficiency improvement this could create to continue to cut its own throat? First, these two giants are scared to death that their chronic interoperability issues in the face of increased pressure to implement BIM would allow a 3rd party to come out of nowhere and eat their collective lunches while they quibbled. My boss Frank Stasiowski says that if these were public entities, there would be an SEC investigation of a possible monopoly. It would appear, at least on the surface, if things progress as projected, there will be little room for other players to emerge. Second, how will users’ working more effectively in distributed locations and bringing data together in collaboration affect A/E firms’ relationships with their clients? Will firms factor these efficiencies into lower pricing for design work in a panic move to keep people busy or will they actually charge more for their services because collaborating effectively across work sites is a differentiator that makes their services more valuable? If past behavior is a leading indicator of future behavior, look for more of the former. Cut hours rather than cut staff? The economic woes that have hit the United States hard, especially the A/E industry, have also struck Great Britain, it seems. But the response of one firm, according to this article, is interesting. Rather than cut 20% of its 750-person workforce, as the article claims some insiders had predicted, Drakelow, England-based engineering firm Roger Bullivant has limited its employees to 39 hours a week and built its contracts with that in mind. Will we see something similar in the United States? Given that most firm leaders are about to be faced with the unpleasant thought of cutting staff, if they haven't done so already, limiting hours and reshaping contracts, or perhaps cutting salaries without cutting staff, may seem desirable alternatives. * Balfour Beatty, the United Kingdom's largest construction firm, seems to be doing well. The firm, which operates in more than 20 countries, says it has won $400 million (Euros) in new orders through May and has $11.8 billion (Euros) of work on the books. Its engineering division also appears strong, thanks to a recent acquisition. The results come in spite of two surveys-- the Chartered Institute of Purchasing and Supply said its Construction Purchasing Managers' Index, which measures overall industry performance, showed activity slowed at its fastest rate for at least 11 years last month while the Royal Institution for Chartered Surveyors found that construction workloads are falling at their fastest rate since 1995. * File this under: We're not surprised. Stantec, the 9,000-person Edmonton-Alberta based firm that offers design and consulting services in planning, engineering, architecture, surveying, economics, and project management, added a mining practice to its service offering when it acquired McIntosh Engineering. McIntosh has more than 200 employees in its Tempe, Arizona, and Sudbury and North Bay, Ontario and had gross revenues of about $32 million (Canadian) in 2007. The acquisition is the latest in a seemingly endless string of deals for Stantec, whose philosophy remains to acquire firms and bring them under the Stantec name. * Stantec isn't the only Canadian megafirm to make an M&A deal. Montreal-based engineering giant SNC-Lavalin Inc. said last week it was buying 25-person engineering and surveying firm C.J. MacLellan & Associates of Antigonish, Nova Scotia, according to The Gazette newspaper. The deal will strengthen SNC-Lavalin's presence in Nova Scotia. Also, IBI Income Fund announced last week that it will merge Page + Steele Incorporated, Architects with IBI Group Architects. Page + Steele will continue as a distinct division within the IBI Group of Firms, operating as Page + Steele-IBI Group Architects. The merger brings the IBI Group of Firms to 2,300 people operating in 64 offices. * M&A deals aren't limited to North America, either. New Zealand-based civil and structural engineering firm Duffill Watts announced last week that it had acquired 45-person engineering consulting firm AC Consulting Group, according to The National Business Review. The move increases the size of Duffill Watts to about 640 people and raises its presence in Australasia and Vietnam. Also, New Zealand engineering firm Beca said last week it had bought Wollongong, Australia-based civil and structural engineering firm MBK South Coast. Beca will have 300 staff there following the MBK acquisition. Perth, Australia-based engineering services firm Neptune Marine Services said earlier this week that it would acquire Scottish company Subsea Engineering Services for $10.3 million, subject to Neptune obtaining necessary financing, according to The West Australian newspaper. The acquisition includes a three year earnout for Subsea Engineering Services, according to the article. Tetra Tech, Inc., announced today that it had completed the tuck-in acquisitions of three consulting and engineering firms in the fourth quarter of its fiscal 2008. The three firms have combined annual revenue of about $20 million and add about 150 new employees to the 8,500-person consulting, engineering, and technical services firm. Terms of the acquisitions were not disclosed. * The Institute for Public-Private Partnerships, Inc., based in Washington, DC, an international consulting and training firm that advises government and private sector clients on public-private partnership structures for infrastructure development. The acquisition enhances Tetra Tech's service offerings for the U.S. Agency for International Development, the World Bank, and government and private clients in emerging markets around the world. * Rothberg, Tamburini & Winsor, Inc. (RTW), based in Denver, CO, a planning, process engineering, facilities design, instrumentation and controls, training, and construction engineering firm. The acquisition will support Tetra Tech's offerings in water and wastewater design. * Highlander Environmental Corp., based in Midland, Texas, an environmental services firm with oil and gas industry clients in Texas and New Mexico. The acquisitions continue the flurry of M&A activity in the A/E industry the past 18-24 months. Industry experts note that the activity will not continue forever, though, so if you are considering buying or selling your firm, now is the time! Field a football team? Well, yes, but you also have enough people to seat the board of directors at 4,000-person engineering, operations, and maintenance services firm Michael Baker Corporation. The Pittsburgh-based company announced today that it had appointed David Wormley, Ph.D., to its board of directors, bringing the board to 11 members. The 68-year-old Wormley has impressive credentials-- he is currently dean of the college of engineering at Penn State and before coming to Penn State in 1992, he was associate dean of engineering for one year at MIT and previously served as head of MIT's department of mechanical engineering-- but an 11-person board is too many people. You want your board of directors to be large enough and diverse enough to represent all sides of an issue, but when your board is the size of a hendecagon, there's too much talk and not enough action. How genuine is your brand? Advertising Age's weekly e-mail newsletter had a poll in this week's issue asking which brand of the following is the most genuine: Johnson & Johnson, UPS, or Google. The background for that question is that while Google (which ironically spends nothing on advertising) earned the top spot in the 2007 Harris Interactive Reputation Quotient study, Johnson & Johnson was named the most genuine or authentic brand. UPS ranked No. 2 and Google ranked No. 3. The poll question made me wonder, which A/E firms do you think have the most genuine brand? And why? Drop me an e-mail and let me know. Notice anything missing? Where are money and benefits? While management often equates salary and benefits with happiness, employees will often tell you that things like appreciation and respect, trust and the opportunity for individual growth, mean much more to them. For the employees reading this, what motivates you? What makes you happy? For the owners and managers reading this, what do you think motivates your employees? When was the last time you asked them? And did you listen to what they said? You hired your employees for their proficiency and ability to get the job done, but it is those "soft" skills that make the difference between a productive and a dysfunctional work environment. You made an investment in your employee when you hired them, don't blow it by ignoring them. International engineering consultancy Beca, headquartered in Auckland, New Zealand, announced earlier today that it had acquired MBK South Coast Pty Ltd., a civil and structural engineering firm based in Wollongong, New South Wales, Australia. MBK will be renamed Beca, whose chief executive says the deal significantly enhances its service offering in one of Australia's most significant industrial markets. "The acquisition of MBK complements our existing service portfolio in Australia and gives us stronger permanent local resources in civil and structural engineering as well as a local computer-aided design team," says Beca CEO Richard Aitken. MBK South Coast was established in 1997 while Beca has operated in Australia since 1960 and now employs more than 300 people throughout Australia. Beca works primarily in the power, water and wastewater, mining and metals, airports, food and beverage and management services sectors. KBR announced this morning that it has completed the $550 million acquisition of BE&K, a privately held, Birmingham, Alabama engineering, construction and maintenance services firm. The transaction is as big as the $550 million figure would indicate, given that BE&K was the 47th largest design firm in 2007 as well as the 39th largest contractor, according to Engineering News-Record. BE&K also maintains Top 10 ENR positions in the areas of: pulp and paper contracting, pulp and paper design, chemical plant design, operations and maintenance design, chemical plant contracting, industrial process contracting, aerospace contracting and food processing plant contracting. According to The Birmingham (Alabama) News, BE&K has annual revenue of $2 billion and 9,000 employees. "Acquiring BE&K is a significant step in re-establishing KBR as a leading North American contractor and maintenance services provider," said William P. Utt, KBR chairman, president, and CEO. Utt added that the acquisition gives KBR the opportunity to expand its engineering, construction, and maintenance activities not only in North America, but internationally as well. Mike Goodrich, BE&K president and CEO, and Ted Kennedy, one of BE&K's founders, have agreed to stay on board to help transition and integrate BE&K into the Houston, Texas-based global engineering, construction and services firm.